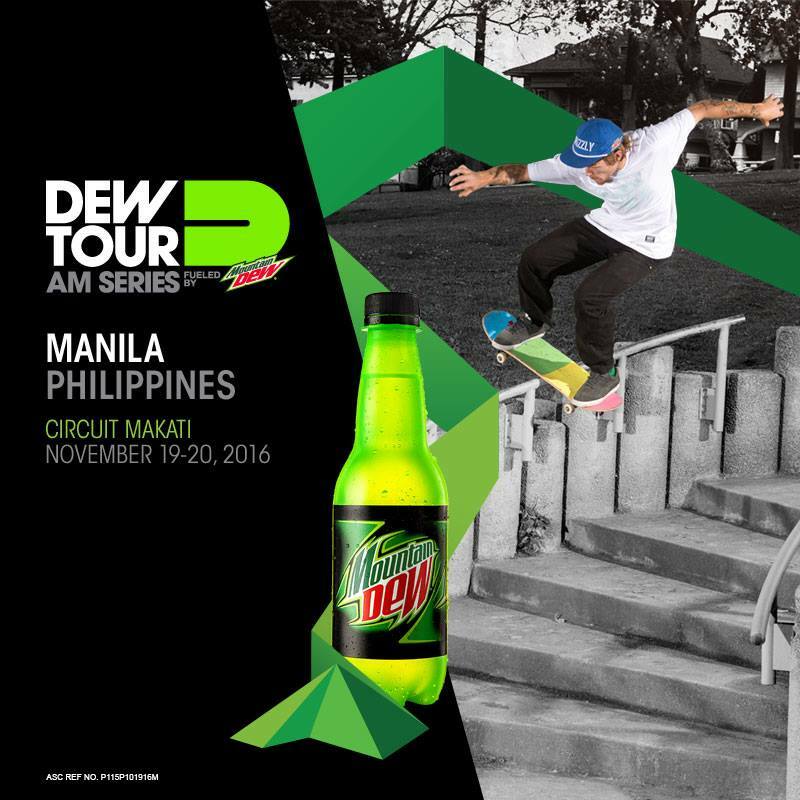 Mountain Dew® is excited to announce the successful Dew Tour Am Series will be coming again to Manila on November 19-20, 2016. This adrenaline-charged, action-packed amateur skateboarding competition will give local skaters of all levels the opportunity to compete for a chance to win P75,000 and a trip to Dew Tour USA. In addition to the amateur skate competition, the Dew Tour Am Series will include product sampling, professional skater demos, consumer booths, and live band performances to fuel the growing Dew Nation skate culture and passion across the world. Mountain Dew pro skateboarders Chris Coburn, Theotis Beasly, and Reemo Pearson will be in attendance at the event, showing their support for the creative and exhilarating global skate community. “I am looking forward to seeing what the skateboarding scene in the Philippines is like. I’m sure Filipino skateboarders will display their unique brand of energy and I also look forward to having a thrilling learning experience with them,” Mr. Beasly said. 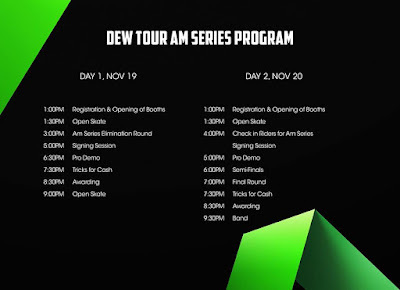 All local amateur skaters are invited to join and compete at the Dew Tour Am Series competition. Additionally, three (3) winners from the first-ever Dew Tour Nationwide Bootcamp will participate at the Dew Tour Am Series event in Circuit Makati. For more information about the Manila Dew Tour Am Series or local Dew Tour Bootcamp events this year, visit Mountain Dew Philippines’ Facebook page at https://www.facebook.com/mountaindewPH. 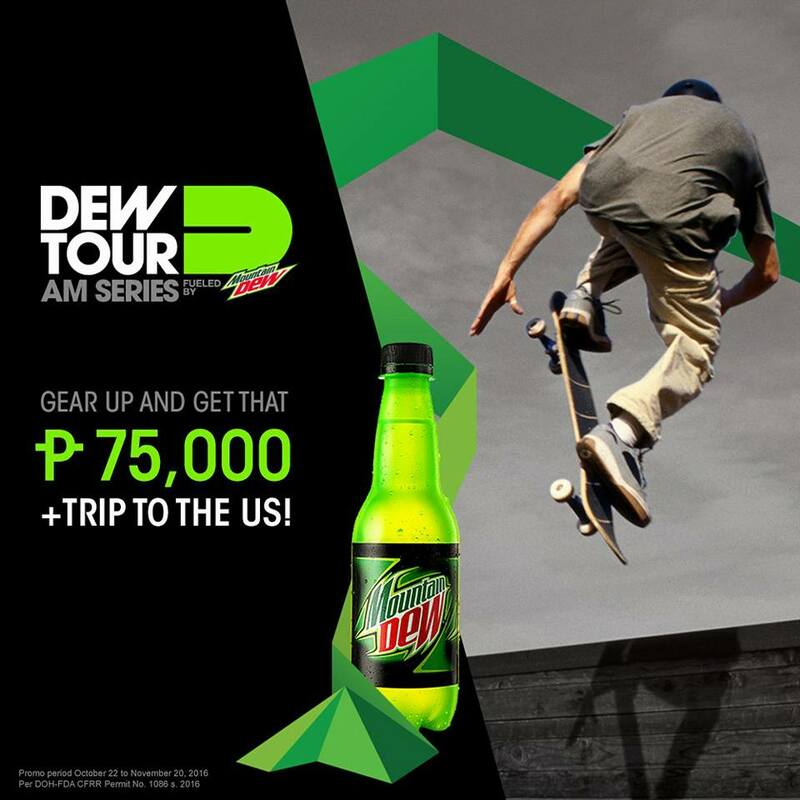 Follow the conversation socially with the hashtags #DotheDew #DewTourAMSeriesMNL.